Welcome to St. Andrew’s Labyrinth. Designed and built in 2007, St. Andrew’s Labyrinth is open to all who discover it. Walking the Labyrinth can be a powerful tool for discovery, renewal or release. This centuries-old metaphor for a spiritual journey allows one to quiet the mind and open the soul. There is only one way in and one way out, no right way or wrong way to walk. It is your path and your time to enjoy a meditation, reflect on God’s grace, and to connect to The Holy. 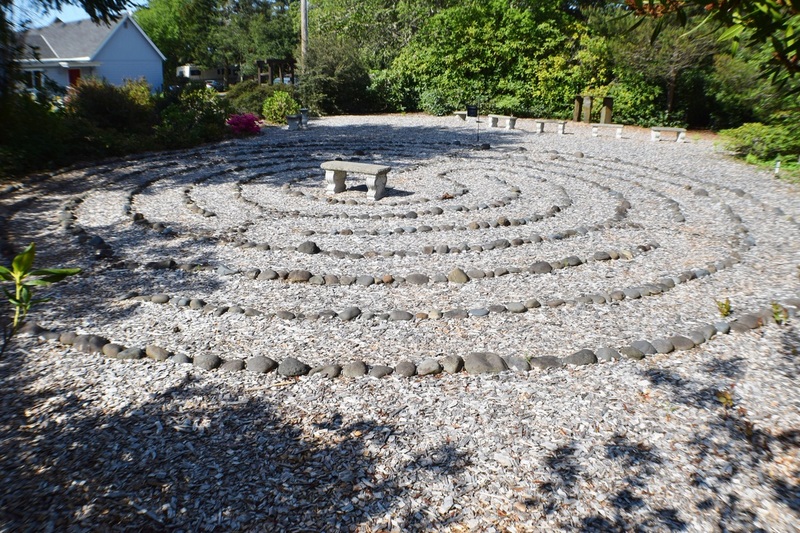 To use the Labyrinth for a group event, please contact the church office: 541-997-6600.